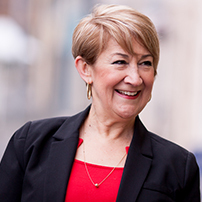 Maggie Webber – also widely known as “The Working Mother’s Mentor” – is a passionate Professional Speaker, Amazon International Best-Selling Author, Start-Up and SME Business Coach and Consultant, and a Futurist. More than 35 years ago she launched her marketing and management consultancy firm and has coached corporations and individuals ever since. Maggie is dedicated to her clients and provides them with a variety of tools to enhance their productivity, effectively manage stress levels, and attain optimal health and work/life integration. Over the years Maggie has personally coached many professional athletes, top executives, and world-renowned entertainers, though today her primary specialty is working entrepreneurs, start-ups and “corporate athletes”. Currently Maggie holds Advisory Board positions for prominent organizations such as GCC, Rockstar Hubs International, Humanity1, Simple Drinking Water, the Social Media Association and the Skyway Investment Group, and she is also spearheading the launch of the “Free Power and Water” Foundation. Maggie has served as a Keynote Speaker at the Women Economic Forum in London, The Hague and New Delhi. Initially she was inspired to help people achieve lasting success – in their work and all other aspects of their life – during her studies with Dr Deepak Chopra and after becoming his first Primordial Sound Meditation Facilitator in the Pacific Rim. Maggie also holds a Master of Commerce from UNSW, a Bachelor of Education from UTAS, and a Bachelor of Business Leadership from UNISA; and most recently became a Heartmath® Facilitator. She has also created and facilitates an intensive 3-part program called “Wellness@Work”, to various management teams and their staff. As an avid yogini, Ayurveda and organic gardening devotee, you will often find Maggie on a yoga mat or up to her ears in compost. Her other passion is studying how the Blockchain will make the world a better, fairer and most sustainable place to live.